School is back in session! 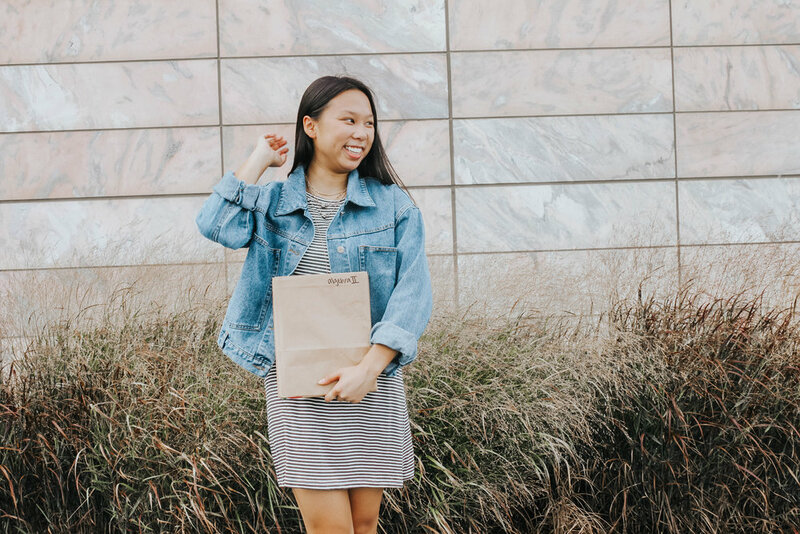 Now that you have a couple of weeks under your belt and are familiar with your class schedule, it’s time to shift your focus to your school wardrobe. 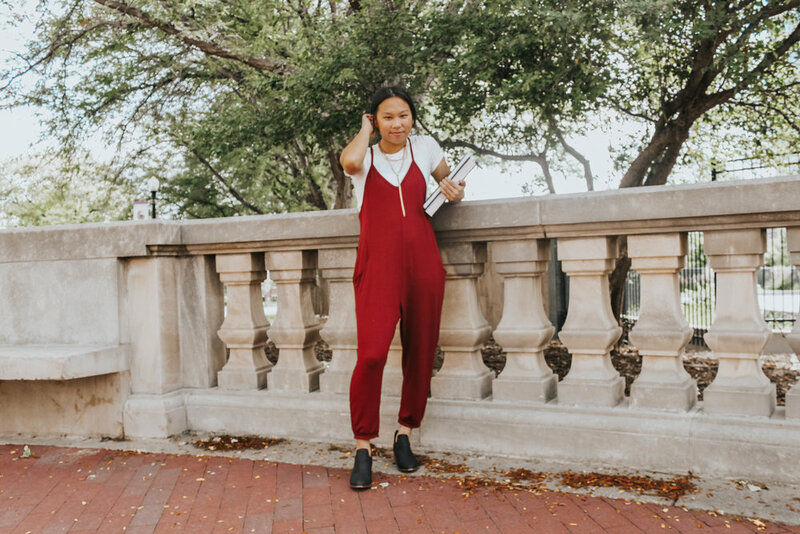 Whether you want to change up your look or revamp your wardrobe we’ve got some outfit inspo for you! I cannot think of anything better than being comfortable, but still looking cute for school. Two words. GRAPHIC TEES. They are the coolest, yet most comfortable thing you could possibly wear. Graphic tees, like our Lazy Daze Elevado Tee ($42), are perfect for school and allow you to take your outfit anywhere. Pair it with jeans, a skirt, overalls, or like us, with the Gone Coastal Pant ($39.50). When we said that the 70’s are coming back we weren’t kidding because goucho pants are about to pop-up everywhere! If preppy and edgy styles could get married and have a baby, this outfit would be it! The Marley Corduroy Moto Jacket ($72) and the Montana Perforated Mule ($37.50) give off edgy vibes while our Time of the Season Turtleneck ($33) and Good Times Gingham Pant ($38.50) can be very preppy. With Fall quickly approaching, layering is going to be key. If you are not a fan of one of the pieces, no worries, you can easily switch out the moto jacket for a jean jacket, printed pants for jeans, or the turtleneck for a graphic or plain tee. You loved it and we brought it back and just in time for Fall! The Payton Mini Dress ($54) will be a staple in your back to school wardrobe. This piece easily transitions from Summer to Fall to Winter. You can pair it with a tube top, a chunky sweater, or with the Ashton Striped Knit Top (38.50). Side Note: This outfit would look awesome with a pair of tights! GO CLASSIC with the All That Matters Denim Jacket ($68.50) and Out of Line T-Shirt Dress ($34.50). You cannot go wrong with these two pieces. 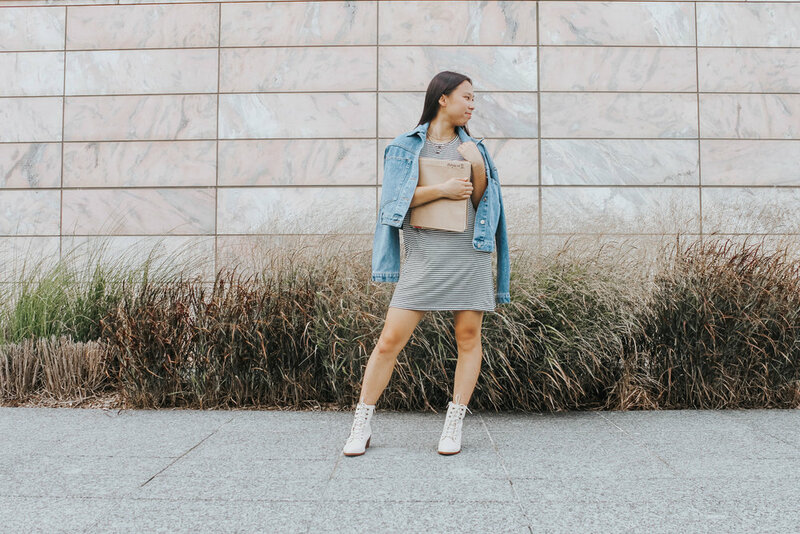 When it gets a little colder out, layer the Out of Line T-Shirt Dress with a turtle neck (like our Time of the Season Turtleneck), pair it with some tights, and you have a completely different outfit! 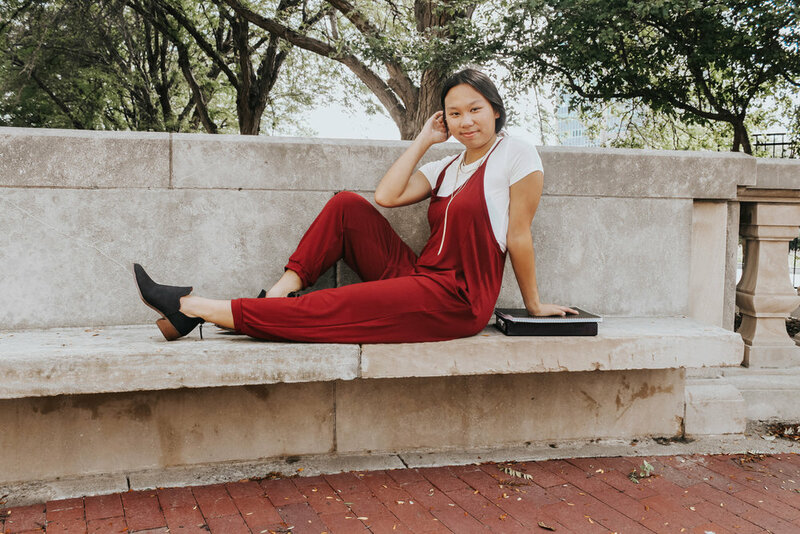 This outfit is for all of your bold beauties out there. Make a statement in the California Striped Pant ($38.50) and feel like you are being hugged by the softest blanket EVER all day at school in the Fall In Love Sweater ($52). You get the best of both worlds with these rad bell bottom pants and this comfy over-sized sweater. If you have not at least tried on one of our Around the House Jumpers ($41) I urge you to do so! They are honestly life changing. This piece is the perfect thing to throw on if you want to look cute, but feel like you never got out of your pajamas in the morning. Heck, wear them to bed if you want! To make this piece a little more school appropriate, throw a tee underneath like our Get Like Me Bodysuit (30), pair it with the Rager Ankle Cut Out Bootie ($41), a layered necklace and you are good to go! 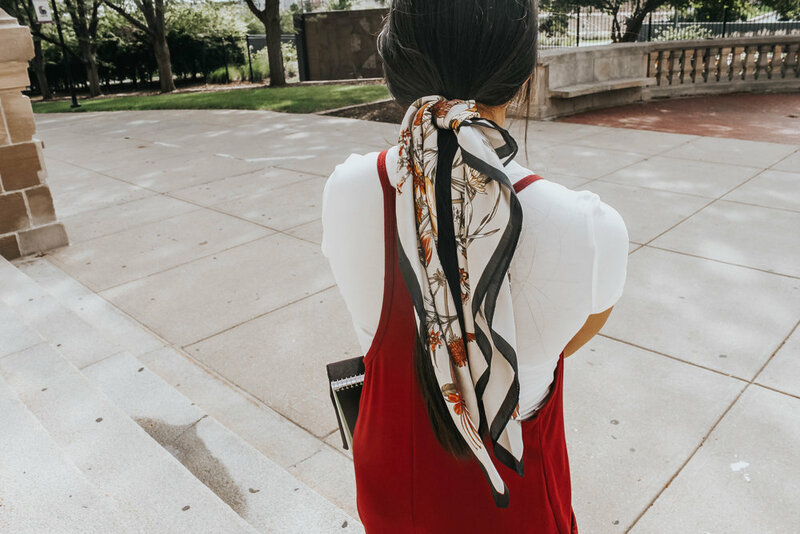 If you want to take your style game one step further, put a scarf in your hair. We have tons of different patterns to choose from at beyourself! 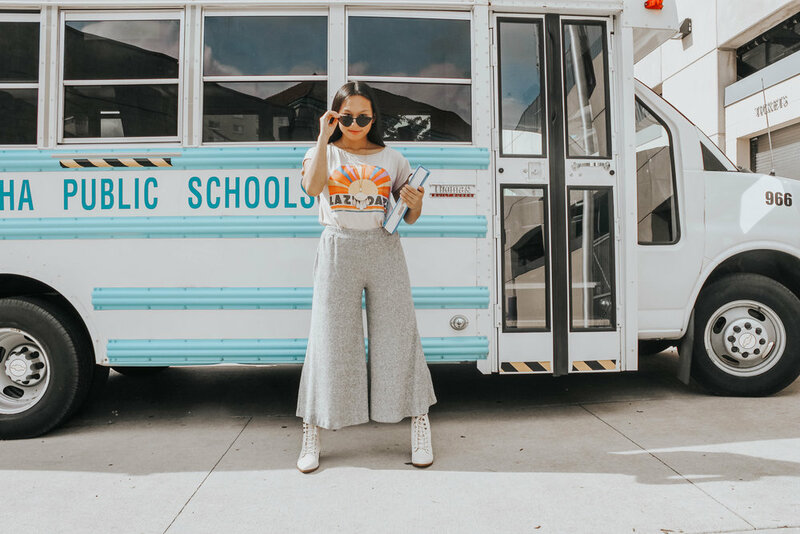 No matter what outfit you are rocking this school year, you’ll find a little bit of everything at beyourself. Love these outfits?? Shop the items online or instore. Happy shopping babes!